Take a Break Tours | Creating Ultimate Travel Experiences in India! Creating Ultimate Travel Experiences in India! LADAKH is located in the state of Jammu and Kashmir in the northern most part of India. The place was cut off or little explored beyond the himalayas for a larger part of its history. Strategically located in the Indo-Tibetan border, it was closed to outsiders for thirty years even after the Independence of India in the year 1947. It has thus managed to remain vastly untouched by the grim repercussions of modernization and retain its distinct culture and lifestyle in the canvas of cultures of the Indian subcontinent. When Ladakh partly opened up to the outside world in 1974, it soon became a Dream Destination for the explorer, for the adventure lover, for the Buddhist pilgrim and for the lover of nature. Known as the ‘Little Tibet’, ‘The Last Shangri-La’, ‘The Rooftop of the World’ , Ladakh has its own culture and identity of which Tibetan tradition is only one aspect of it and has never ceased to enchant travelers all over the world. Religion: Both Central and Eastern Ladakh are predominantly Buddhist while Western Ladakh is mainly Shia Muslim. Credit Card Facility: Not accepted by most of the shops, restaurants & hotels. This is my very humble attempt to put into words the enchanting beauty and aura of Ladakh – the little known gem nestled amidst the lofty himalayan peaks in the northern most part of our country. 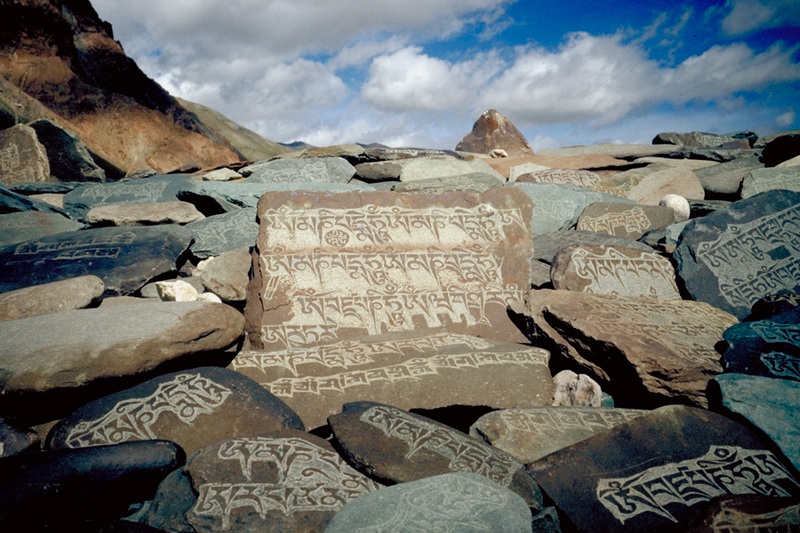 For words and books are not enough to describe what it IS Ladakh. ..what it is to BE in Ladakh… It is one of those places that needs to be Experienced to be understood and surprisingly the more you discover it, the more you rediscover yourself.. So join me in this journey as I discover this amazing world and relive some of my everlasting memories of it.. Please visit our website: www.takeabreaktours.com to know about our upcoming tours and contact details. Please welcome you to leave your feedback about our website here. Any suggestions/advice to improve it is highly welcome and much appreciated. Take a Break Tours is not just a Travel company but a dream to share the joy of travelling, to appreciate the beauty of faraway places and to experience the vibrancy of different cultures with our friends around the world. The world we live in is a beautiful place and there is just one uncertain life to explore it. But we have become so caught up in the rat race that we have forgotten what it is to enjoy the sunset behind the office window, to stop by to smell the flowers on our way to work, to feel the first drops of rain – in other words, we have forgotten what it is to experience life. So, Why not forget the never-ending deadlines, why not switch off the ringing mobile phones, and ‘Take a Break’ from the treadmill of life to actually Feel Alive?? This is the idea behind the name of our company. To create the Ultimate Travel Experience for our customers without compromising on personalized service and hospitality. Nothing makes us happier than a fully satisfied customer taking back beautiful memories of a holiday well spent. We are supported by our totally dedicated and highly experienced representatives at our destinations with immense local knowledge, who provide the best of service and hospitality to ensure a smooth and memorable travel experience. We understand that Travel time is precious, and that we all come to it with special hopes and wishes. Hence, our tours have been designed keeping in mind the experiences you want and the memories you want to take back. We offer a range of travel experiences like Sightseeing tours, Honeymoon packages, Adventure tours and Special interest tours. We also understand that every customer has different interests, budget and requirements. Hence, all our tours are highly flexible and can be customized as per the specific requirements of our customers. Whether you are traveling with a group, alone, or making this a family event, you can bank upon us to arrange for you the Perfect Holiday. It is Your holiday. Let us help you make it truly memorable. We believe in respecting the fragile environment and ecology around us during our tours and encourage our customers to follow the same. We also believe that respect for local culture and support for social development are integral to responsible tourism.